A handful of Democrats on Tuesday asked the House Business and Industry Committee to support a package of bills that would increase the minimum wage in Texas. Claudia Colon, single mother of a 4-year-old son, cleans between 35 and 40 guest rooms a day at an Austin hotel. She makes $8.25 an hour, or $330 a week. “Can you imagine what it feels like to have a full-time job and not have enough money to take care of your children?” Colon, her testimony translated from Spanish, asked members of the House Business and Industry Committee on Tuesday as they considered a package of bills to increase the minimum wage. Though Colon makes a dollar more than the federal minimum wage of $7.25, she is among the millions of Texans whose wages could rise under measures proposed by a handful of House Democrats. In a back-and-forth of statistics, Democrats on the committee lauded the bills, saying they would improve living standards for low-income Texans and reduce the number of people receiving public assistance. Some Republicans, however, were skeptical and worried about the impact on small businesses. The minimum wage would go up to $10.10 an hour under proposals by state Reps. Eddie Lucio, D-Brownsville, and Trey Martinez Fischer, D-San Antonio. A separate measure by Martinez Fischer would ask voters to approve a constitutional amendment setting the minimum wage at $10.10. Among states, Texas has the highest number of minimum wage workers, with 223,000 people making $7.25 an hour in 2013. Citing a report by the liberal Center for Public Policy Priorities, Martinez Fischer told the committee that one in four workers — or 2.4 million Texans — would get a raise under the minimum wage proposals. That figure was challenged by Republicans. State Rep. Matt Rinaldi, R-Irving, said the state would gain little from a wage hike, because 50 percent of minimum wage workers are under 25, probably don't have dependents or are likely students. Citing their own figures, the Democratic authors disputed this claim, pointing to data showing a majority of minimum wage workers are 25 or older, with many of them supporting households with children. State Rep. Jason Villalba, R-Dallas, expressed concerns about the impact on small businesses that may have to cut employees to pay higher, state-mandated wages. “I think the concern that people like me have is that if you foist that on the small businessman, they’re going to have to shoulder that because the state told them to do so,” Villalba said. A proposal from Democratic state Rep. Ruth Jones McClendon of San Antonio would increase the wage incrementally, raising it to $8.75 in 2016 and $10.10 in 2017, and exempt small businesses with fewer than 26 employees. “What most of us want to do is to give people the ability to have money in their bank accounts to take care of their families,” McClendon told the committee. Another measure by state Rep. Senfronia Thompson, D-Houston, would raise the minimum wage to $8.25 beginning in 2016. 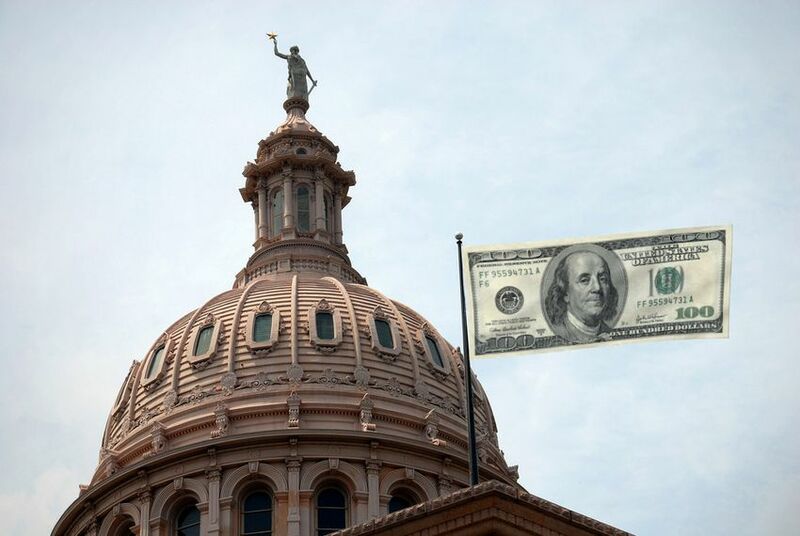 Democratic state Rep. Roland Gutierrez’s bill would raise it to $10. Interest groups were split over the proposals, with organizations like the Texas AFL-CIO in support while the Texas chapter of the National Federation of Independent Business declared its opposition. It’s unclear whether the proposals will make it out of the committee, which is made up of three Democrats and four Republicans. The other Republicans on the committee did not comment on the minimum wage measures. Committee chairman René Oliveira, D-Brownsville, said he approved of Martinez Fischer’s proposal of leaving a wage increase up to Texas voters. “Taking it to the people is something a lot of us always campaign about,” Oliveira said during the hearing. No action was taken on the bills Tuesday, and they were left pending in committee.